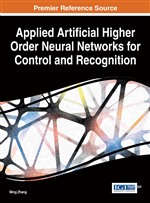 High order neural networks (HONN) are neural networks which employ neurons that combine their inputs non-linearly. The HONEST (High Order Network with Exponential SynapTic links) network is a HONN that uses neurons with product units and adaptable exponents. The output of a trained HONEST network can be expressed in terms of the network inputs by a polynomial-like equation. This makes the structure of the network more transparent and easier to interpret. This study adapts ACOR, an Ant Colony Optimization algorithm, to the training of an HONEST network. Using a collection of 10 widely-used benchmark datasets, we compare ACOR to the well-known gradient-based Resilient Propagation (R-Prop) algorithm, in the training of HONEST networks. We find that our adaptation of ACOR has better test set generalization than R-Prop, though not to a statistically significant extent. (1) as illustrated in Fig. 1. Hidden layer neurons do not have associated biases.